Click OK below to clear this warning (Note that Cookies must be enabled to clear this warning). The Membership Renewal season is upon us, but instead of dusting off the old chequebook, why not renew safely and securely online using our secure payment page. All you need is your membership number and a credit or debit card. Visit the Membership Renewal page to renew the easy way. We are pleased to announce that our new Regalia Web Shop is now open. We now have a new range of ladies and gents clothing, hats, umbrellas and more. 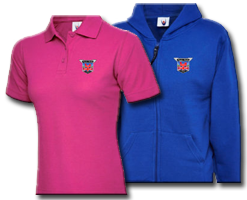 Clothing is available in a range of sizes and colours. The shop also sells our usual stickers, badges and lapel pins. For more details and access to the shop, see the Regalia Page. It's FBHVC Drive It Day on Sunday 28th April. Most of our centres are organizing some kind of outing. To see what is happening in your local area check our Action Planner. After eight very successful years the Donington Historic Festival is firmly established as a major fixture on the international historic racing calendar, attracting many thousands of spectators, hundreds of world-class historic racing cars and huge numbers of classic car club displays. 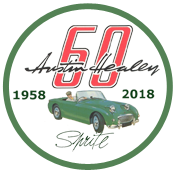 Austin Healey Club members benefit from a 2 for 1 ticket deal with display area parking and parade laps for Healeys. 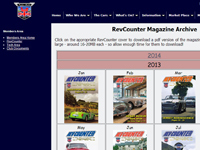 For full details of how to book, including the discount codes, please see the Members' Area (login required) or see February's edition of RevCounter. Following on from their very successful 2018 mini break in Lincoln, the Midlands Centre have decided to have another. 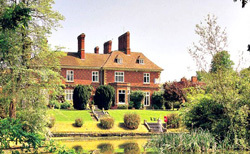 This time they will be going to Shrewsbury, staying at The Mercure Shrewsbury Albrighton Hall Hotel and Spa. The hotel is an 18th century manor house just 4 miles from Shrewsbury, and situated in 15 acres of grounds with an ornamental lake. Further details can be found on the Midlands Centre website and on the booking form below. The Healey Weekend will take place on the 5th/6th/7th July 2018 and includes two nights at the Bailbrook House Hotel in Bath, a boat trip into Bath and a trip on the West Somerset Railway. Places are limited, for more details and to register your interest, please visit the Event Website. Car Club Packages for the Silverstone Classic are available until 31st May 2019, but the earlier you buy, the more discount you will receive. More event details at the Silverstone Classic web site. More discount details in the Members' Area. Our US cousins in the Minnesota Austin Healey Club are organizing a Healey Conclave in South Dakota’s and Wyoming’s Black Hills region from the 6th until the 11th of September 2019. The event includes a Gymkhana, a Funkhana, a Concours and Tech Sessions. There are also opportunities to visit Mount Rushmore and a Tunnels and Pigtails Rally and more. They have extended an invitation to UK members to come over and join them. Full details are available on the Event Website. 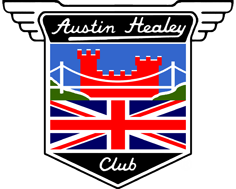 Here you will find the details of traders who offer discount to members of the Austin Healey Club. 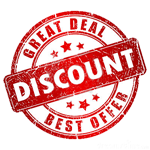 Check out the discounts on offer and how to claim your discounts on our Discount Corner page page under the Market Place menu item above. To claim your discount, you may have to give your membership number, show your membership card or give a specific discount code. The discount codes are available in the Members Area only! Currently discounts are also offered by Adrian Flux Insurance, ClassicLine Insurance, Longstone Tyres, Equipment4Garages, TMS Motorsport and Kimberley Media. Do you have something to sell? Are you looking for something for your Healey? Take a look in our Small Ads section for cars, parts for sale, parts wanted, books and more. Want to advertise in the Small Ads section of the magazine and website? Details can be found on the 'Classified Ads' form. Simple ads are free for members. 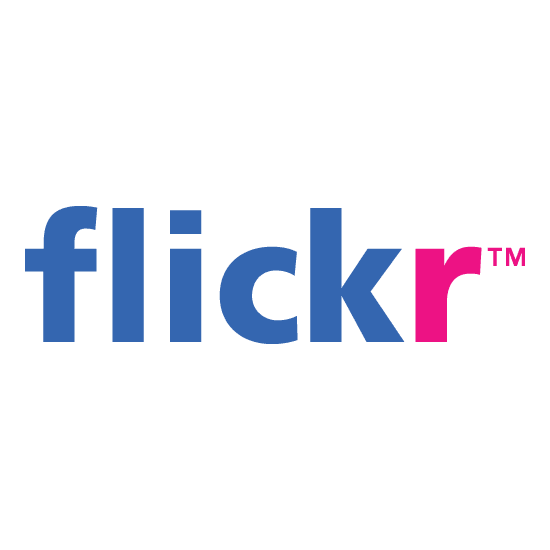 Photos can be added for a small fee. Commercial advertising is also available. Why not try out our 'Members Only' area? Are you a UK Club member? Register & Sign in to access a whole range of technical articles, an archive of the last ten years' RevCounters or check out your membership details. 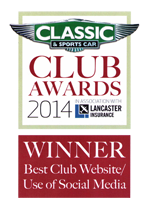 Did you know that the Austin Healey Club can provide members with free valuations* for insurance purposes? See more on our valuations page - click here. 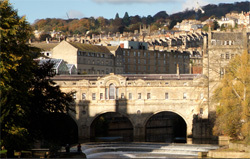 * Our valuers may, in certain circumstances, need to charge nominal expenses. 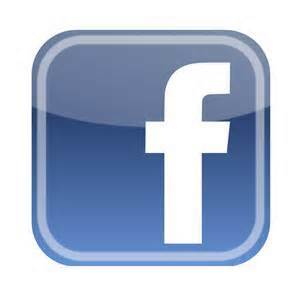 Like or Share the Austin Healey Club on Facebook!